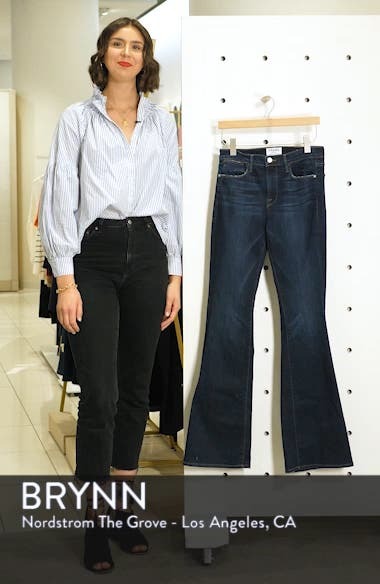 A high rise balances the flared legs of '70s-inspired jeans crafted in LA from soft and stretchy denim in a saturated indigo wash. Choose a sizeTrue to size. 23=00, 24=0, 25=0-2, 26=2-4, 27=4, 28=6, 29=8, 30=8-10, 31=10, 32=12, 33=14, 34=16. High rise.